It’s time to set up and hunker down for winter. 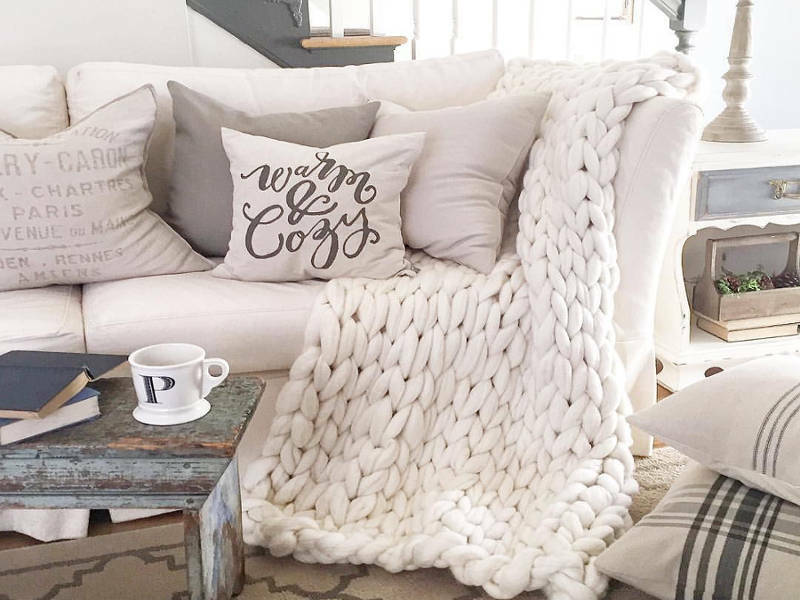 We’ve got five easy ways you can make your home warmer and cozier. The following five tips don’t require a big time or money investment but will go a long way to make your home warmer this winter. And the best part is you’ll not only feel more comfortable in your home, you’ll also save money on your heating bill. A small runner next to your bed, large area rug in the living room or bath mat in front of your bathroom sink will keep you (and your feet) away from the cold floor. Swap your sateen or percale sheets for flannel or microfiber. They’ll feel warmer to the touch and insulate better. A down (or down alternative) comforter will hold your body heat in best. Hang heavier insulating curtains that keep the cold air out and the warm air in. The most common drafty culprits are windows, doors and wiring holes. Start there. To find other drafts, wait for a windy day, close all windows and doors and light a stick of incense. Hold it in places you suspect drafts are originating. If the incense smoke looks unsteady or wavering or gets blown into the room or sucked out, you’ve found a drafty spot. Keep doors closed to all your rooms. Keep the fireplace flue closed when not in use. 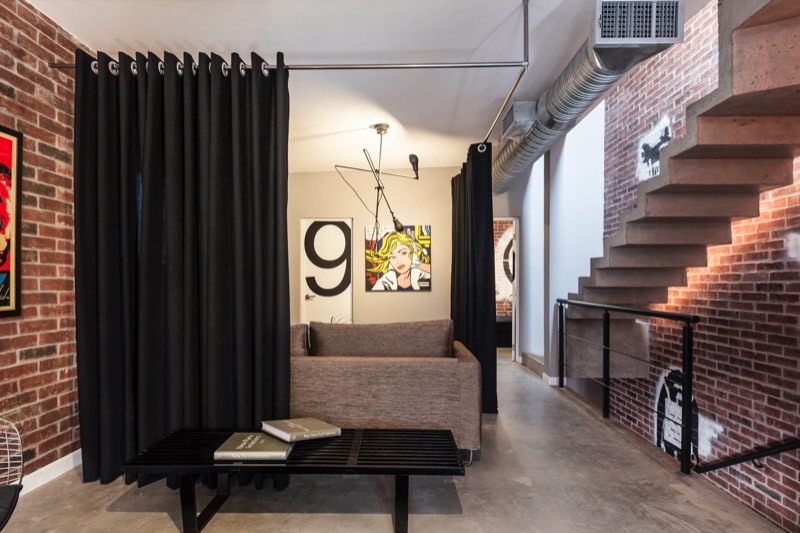 Have an entry that opens up to the living room? Hang a curtain rod and a heavy curtain to keep cold air out of the living room when you open the front door. Use caulk or expanding foam to seal up wiring holes or a leaky window. Stick self-adhesive weatherstripping in windows or doors that have a noticeable gap to seal them. Place a “draft snake” or rolled up towel at the base of your door to keep a draft out. Smart heating and cooling systems are readily available to make comfort on demand easy. You can wirelessly control your home’s heating system nowadays, thanks to a smart thermostat and home zoning. The secret to the warmest, coziest and most cost-efficient smart heating and cooling system is to set up your home in zones. Home zoning means that cooling or heating goes to the areas you’re likely to be using most. Efficiently running a home zoning setup like the ComfortLink II Zoning System means that you’ll save money and energy by focusing heating and cooling in the areas you use most frequently. To run and schedule your home zoning comfort-on-demand system, you’ll need a smart thermostat. It’s your home’s energy command center where you can program what zones you want to heat and when. You can also access the smart thermostat remotely or view live weather on the color touchscreen display. It’s time to get strategic on where your room’s furniture sits to avoid cold air from windows and walls and enjoy the few days of warm sun. If you work from home during the day, place your desk near a sunny window to take in the sun’s heat. Move your sofa, armchair or bed away from a cold, drafty window or poorly insulated wall to keep yourself warmer and cozier. 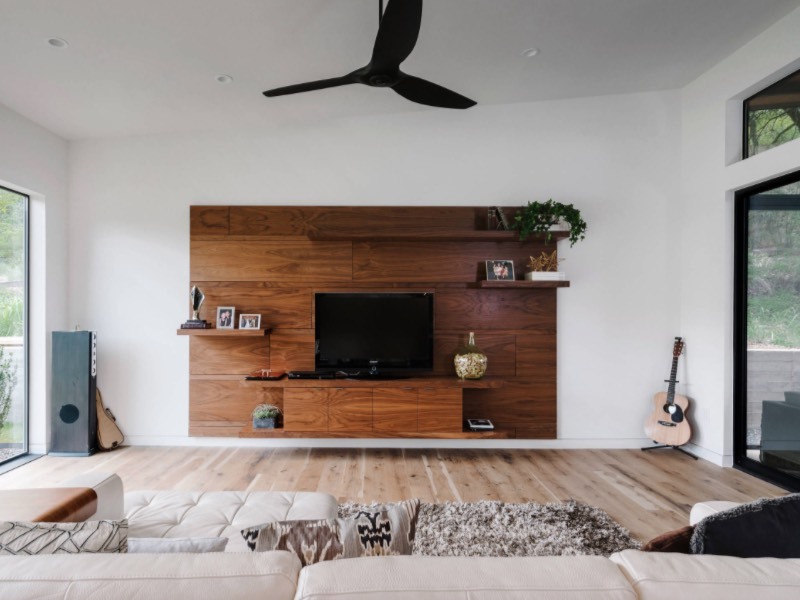 Move your sofa and other larger pieces of furniture away from your heating ducts or radiators so the heat can flow freely in a room. Heat rises. And if you have tall ceilings, the warmest place in your home is near the ceiling. Set the fan’s switch to reverse mode so the blades spin clockwise instead of counterclockwise to push warm air back down where you can enjoy it. This trick works best if your fan has several speed settings. Run your fan at the very lowest speed possible. You don’t want to run your fan too high, creating a draft and cooling the room. Warming up your home for this long winter doesn’t require a lot of work. And the reward will be stylish spaces that feel more inviting so you can cozy up and relax with a nice mocha. 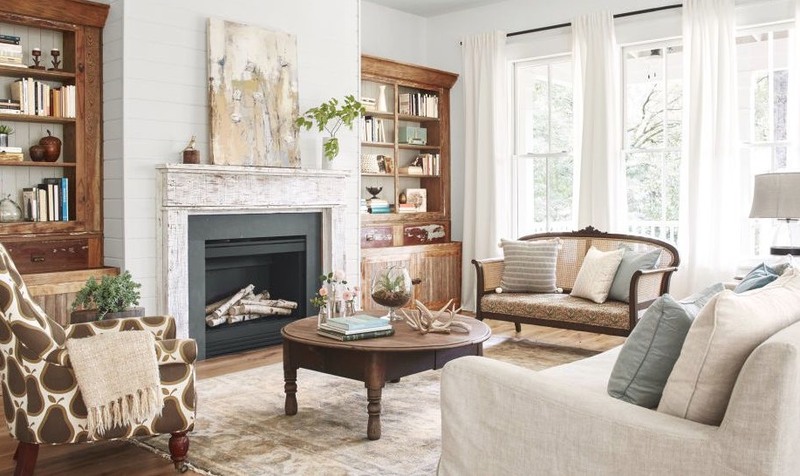 The post Here Are 5 Easy Ways To Make Your Home Warmer And Cozier For Winter appeared first on Freshome.com.